After the great success of the last year’s launch, which aroused a huge interest of numerous participants, international partners and the most significant business people in Lithuania, ChangeMakers’ON returns to Kaunas with even greater ambitions. 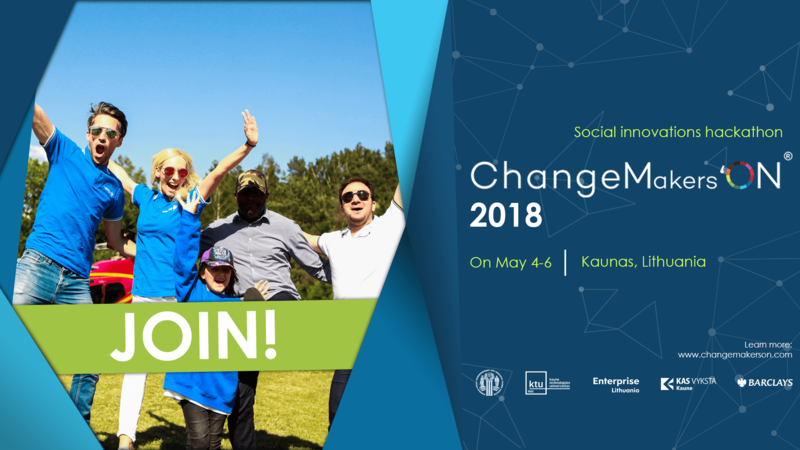 On May 4–6th, the social innovations hackathon ChangeMakers’ON 2018 will unite forces of more than 50 professionals who will advise, consult and support participants in developing sustainable businesses. 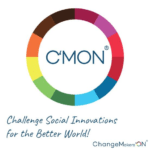 This is a great opportunity for those who are creating social innovations and thinking about their own business — here everyone will get a chance to try themselves out, get professional insights and support, find partners and team members, with whom all ideas will be transformed into an impact-generating business. “Technological innovations are often the key in solving social problems, so this year we are aiming to bring together as many social and technological innovators as possible in order to contribute to achieving the United Nations sustainable development goals. Together with ChangeMakers’ON experts, the participants will develop sustainable business models and create a truly measurable impact on the public. The ChangeMakers’ON program welcomes all industry representatives. If you already have a prototype or even a low-value product, but you have not yet succeeded in developing a sustainable business model because the lack of teams, knowledge, support or partners be sure to fill out the registration form,” says the initiator of the ChangeMakers’ON program, and the head of the “European Social Entrepreneurship and Innovative studies Institute“ Simona Šimulytė. This year, ChangeMakers’ON has successfully started on March 27th in the event “Let’s talk. Social Investment & Skyrocketing” at Rise Vilnius, which was definitely a strong starting point for the development of social innovations. During the discussion, the main factors determining the situation of the social innovations ecosystem in the Eastern European region were discussed, and the main goal was set — to unite the forces of social entrepreneurs and raise public awareness of social innovations. Together with the guests, CEE Social Investment Taskforce, as well as other impact business’ representatives, it was decided that this goal has set out the direction to go in order to strengthen the development of social innovations in the region. Examples from all over the world show that technological innovations are more frequent than social ones. But are these two innovation concepts are hostile or, contrarily, complement each other? This topic, regarding the issue how technological and social innovations are understood, will be discussed during the panel discussion “Technological innovations vs. Social innovations” on March 4th. The ChangeMakers’ON is the global social innovation and business development support program which helps social innovators to grow, to achieve significant scale, become financially stable and to deliver impact. The program is a joint project of „European Social Entrepreneurship and Innovative studies Institute“, „Kaunas University of Technology“ and „Enterprise Lithuania“, supported by „Barclays“. Registration will be up to 23th of April.